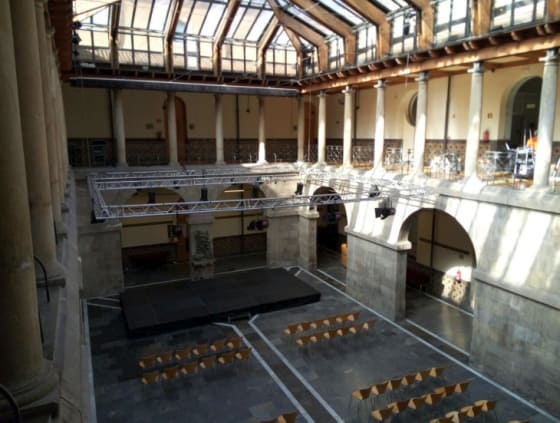 The next Ubucon Europe will take place at the Antiguo Instituto Jovellanos in Gijón/Xixón (Asturias, Spain), the 27th, 28th & 29th of April 2018. The Antiguo Instituto was built in 1797 as a centre for scientific and technical education. Currently, it is a public space maintained and managed by the City Council and it has become a reference place for popularisation of Culture, Science and Technology. The conference will be held in 3 parallel sessions, taking place in two conference rooms and one workshop room. At the same time, several stands will be placed in the hall of the building. During the Ubucon Europe 2018 in Gijón/Xixón, there will also be time for social events, bringing users and developers from all around Europe closer together. We will discover and enjoy the ancient Asturian culture, food specialities and drinks. There will be several Ubuntu hours, touristic visits, music… and we will even have the opportunity of experiencing a typical “espicha” (tasting Asturian cider). We would like to start also a new concept: the Ubuntu Shared World Food. Each one of the participants will provide some food or drinks from their own countries for sharing a piece of their own culture with the Ubuntu Community. – On behalf of Javier Teruelo, Francisco Molinero, Sergi Quiles, Antonio Fernandes, Paul Hodgetts, Santiago Moreira, Joan CiberSheep, Fernando Laner , Manu Cogolludo & Marcos Costales.